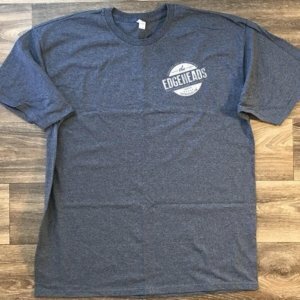 It’s our classic T-shirt. Let the world know that you have great taste and a refined sense of humor. You can wear it shopping, or not. *It is soft enough that you may want to sleep in it. While it is said that the camera can add 10 lbs., early reviews suggest this shirt has a *reversal effect. It can help to keep you *cool in the summer and warm in the winter. 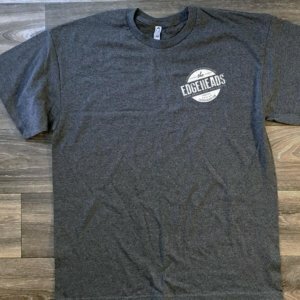 *This shirt may restore your youth, cure what ales you and possibly shift any negativity into a positive outlook and attitude. 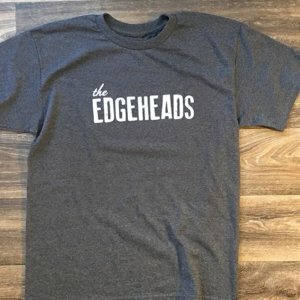 It’s our World Famous T-shirt, The Edgeheads Classic. We say “World Famous” in the sense that it comes from Las Vegas and Las Vegas is World Famous. 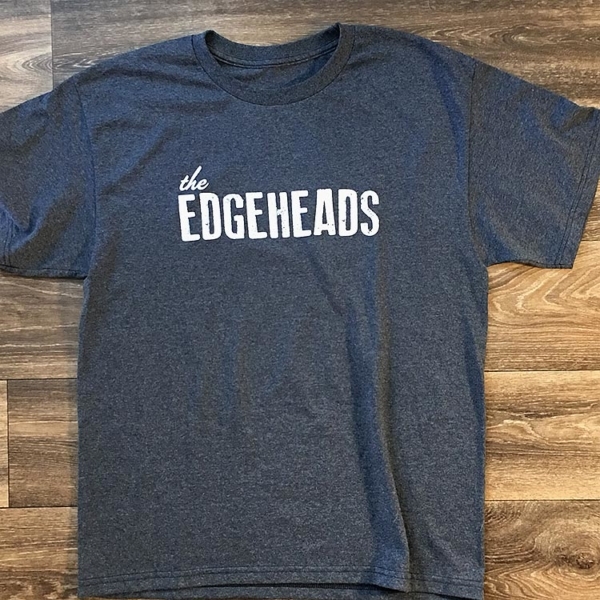 That might be a bit of a stretch, kind of like our shirts, they have a bit of stretch, just enough for a great comfort fit. They’re high quality, stylish, and made with love. A Heather Navy T-shirt goes well with any ensemble really. With built-in slimming and cooling features, this shirt is just fun to wear. When wearing in public, we recommend wearing pants. Made with love and a 50% / 50% polyester, cotton blend. 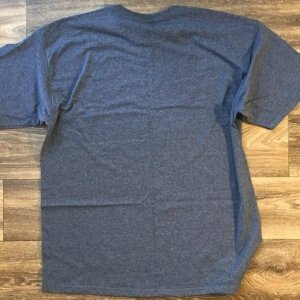 It is preshrunk with a loose, comfort fit. Machine wash cold and tumble dry low. This design was created by us, on our back porch.